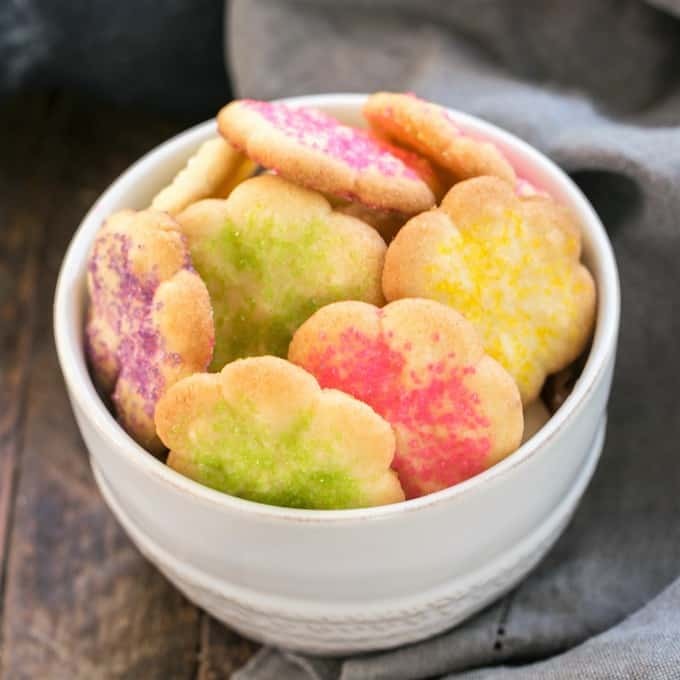 I shake up my holiday candy and baking list from time to time, but one sweet treat never changes. 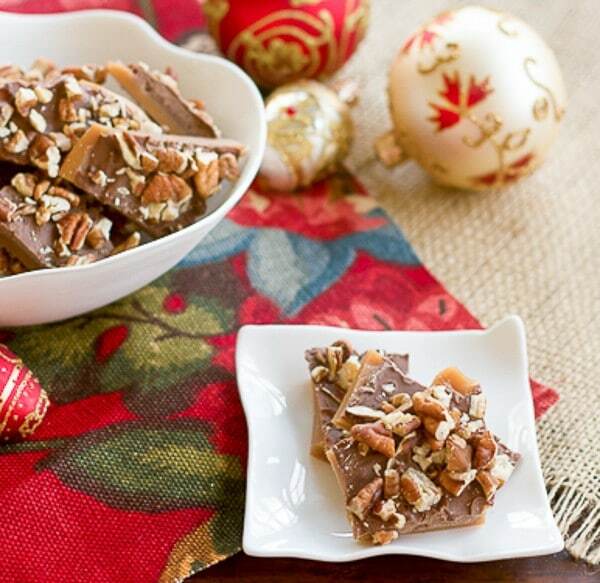 This classic English Toffee is a must make every Christmas! Toffee is my favorite holiday treat. Buttery English Toffee. I try to make just enough to give away so I can only snack on the small broken shards. Once you start snacking, you can not stop! It’s just that good. Part of the goodie trays I give to my neighbors each year, I love to supplement with Easy Christmas Candies and my favorite holiday cookies. But this recipe is worth the effort. And one batch is never enough!! I’ve even made aversion topped with chopped Heath bars instead of pecans! Heavenly. It took me years to master this candy. A good quality Candy Thermometer is imperative. It’s the key to getting the toffee candy to the right “crack” or consistency. As with fudge and caramels, you need an accurate Digital Candy Thermometer. Keep your burner on medium high. Any lower and it will take forever to come to temperature and any higher, it will cook too quickly and the texture will be off. Because of the addition of corn syrup, this toffee will not recrystallize. You don’t need to stir constantly, but instead frequently. Stay near your boiling candy. You need to watch the temperature closely as it will rise rapidly once it approaches the 290º point. Pull the pan off the heat at 290-300º. 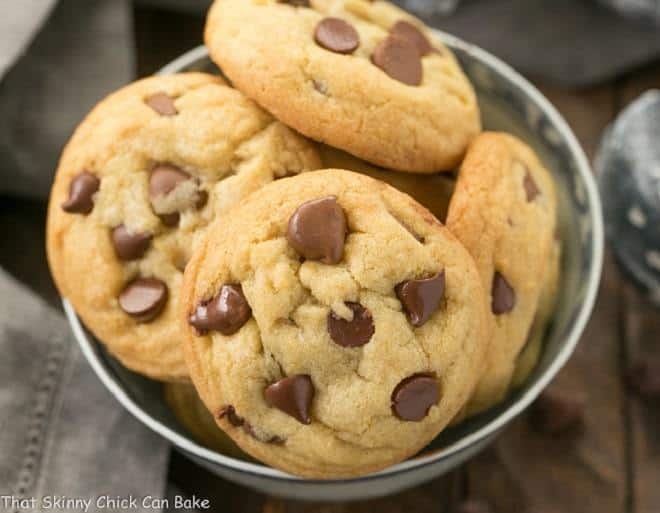 I used to cook to above 300º and only about half the batches were the correct consistency. 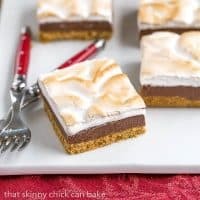 I use a Small Offset Spatula to gently move the hot candy across the Sheet Pan along with tilting the pan back and forth. Add the chocolate while the candy is very hot so it melts. Use the offset spatula to spread it evenly across the candy’s surface as soon as it appears melted. Be careful. This candy will burn you quickly if you spill. Enjoy!!! 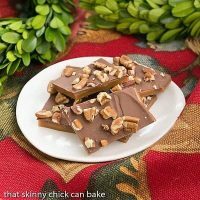 Hope you’ll love this Classic English Toffee as much as I do. My favorite English Toffee recipe. Prepare to get lots of rave reviews! Cover baking sheet with silpat or lightly grease with Pam. Cut butter into pieces and mix with sugar, corn syrup and water. Bring to boil over medium high heat, stirring until sugar is dissolved. Insert candy thermometer and allow to boil, stirring occasionally, until liquid turns amber and temperature reaches 290º. Remove from heat immediately and add vanilla. Stir to combine and pour onto prepared sheet. 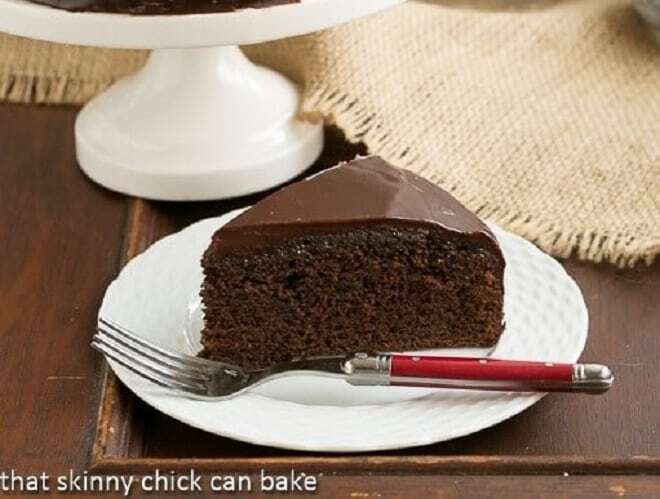 Allow to cool about a minute, then sprinkle with chocolate. Allow heat to melt chocolate, then smooth out with spatula. Sprinkle with nuts and gently pat down so nuts adhere to chocolate. Chill for 2 hours, then break into small pieces. Store in refrigerator. One serving is 1 ounce of toffee. This recipe makes 48 ounces. 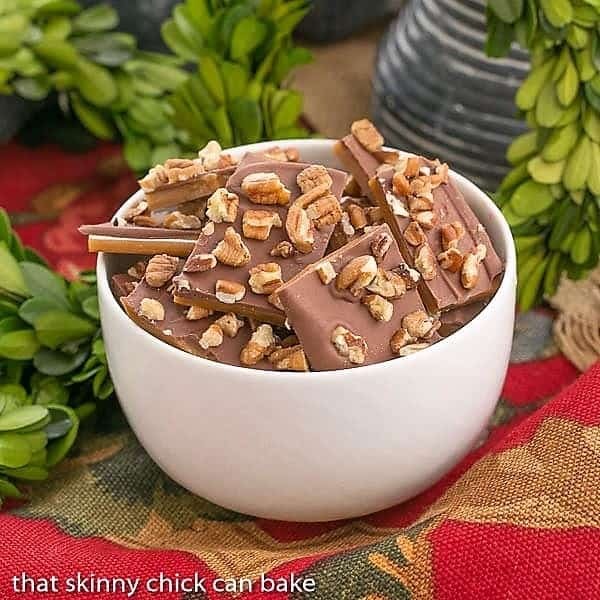 Just about an hour ago I made toffee……also used toasted pecans and milk chocolate this time! Ended up using the recipe from Allrecipes. Want to try your recipe next time. 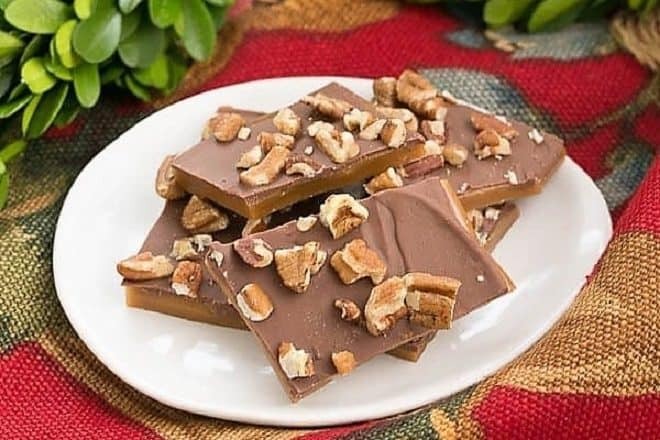 I just love toffee but have never made it myself. Yours looks absolutely delicious and just beautiful! Thank you so much for the instructions on how to make it. I’ll definitely be giving it a try. 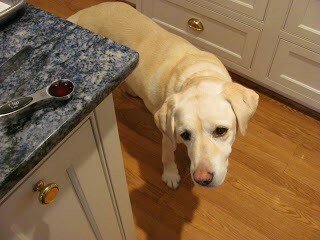 And I just love your dog, so cute! I hope you’ll blog about your toffee, Hilary…I’d love to see your recipe! I love English Toffee and have been looking for a yummy/simple recipe for awhile! This is the one!!! I made several batches over the holidays to share with friends! Everyone loved it! And the kids thought it was “super cool” the way the warm toffee melted the chocolate for easy spreading. My only question is do you have a trick for spreading the toffee out a little? Mine was kind of thick in the middle. I’m thinking that just tilting the pan this way and that might work. Thanks Lizzy! I’ve had that happen, too, Kim…and I’m not sure why! Thank goodness it’s not very often 🙂 Wish I could sample yours! Have you tried making a double of the recipe in one cooking? Or do we have to make it batch by batch if we want to make a lot. Thanks. Elajr, toffee can be extremely finicky. I would not double the batch. I usually end up making 3-4 batches for the holidays and always do them one at a time. 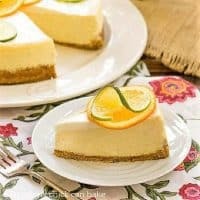 Hope this recipe works for you! The toffee looks delicious. I’ve never made it but I would love to try. Great tips too. Did the puppy get any? this looks so good bet you could sell this its better than anything you can buy anywhere! A holiday classic that never disappoints. So good. A holiday classic that never disappoints. So good. Thanks for sharing it. I’m so in love with this toffee! The best gift for my new neighbors! I’m going to make this as gifts for my family! These didn’t last long in my house! Such a fun and awesome treat! 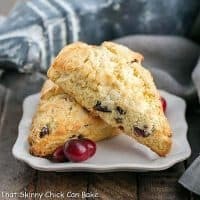 I crave this recipe every year during the holidays- the best! 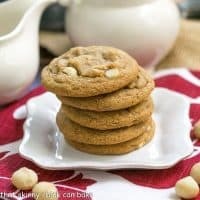 Everyone in my house loved this recipe when we tested this out. I have to make more!